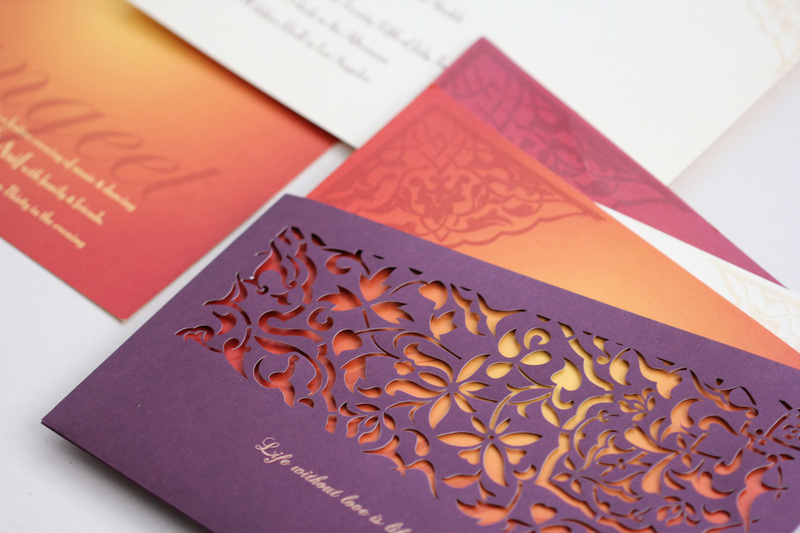 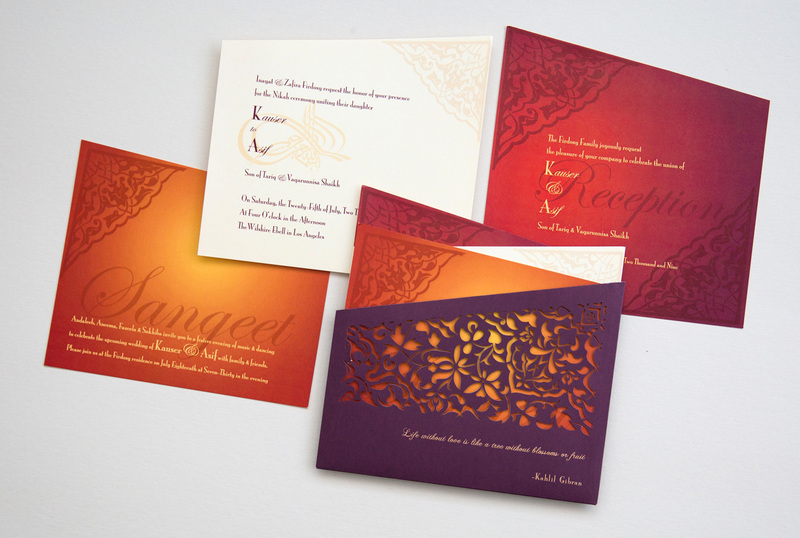 “Life Without Love Is Like A Tree Without Blossoms Or Fruit.” These profound words of Kahlil Gibran infuse this invitation with a gorgeous mystique, with its jewel tones reminiscent of the poetry of sunsets. 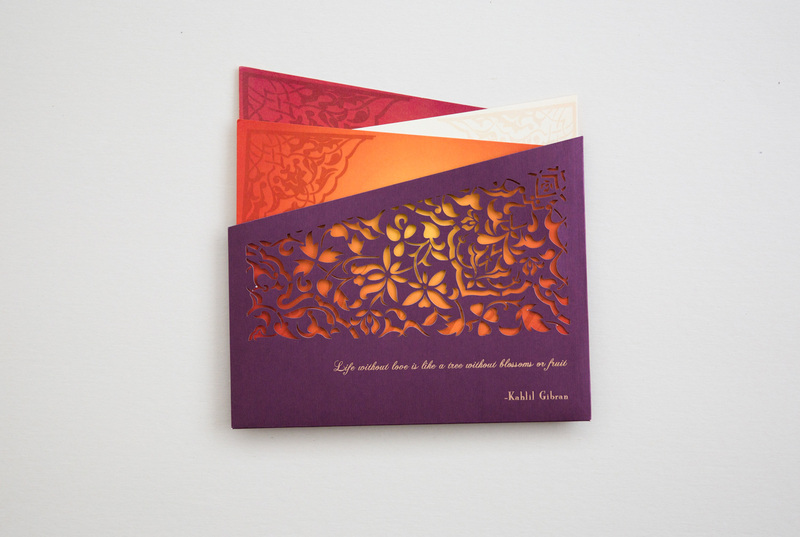 Laser cut “jali” and gold foil type on a deep aubergine ground encloses diagonal cut persimmon and scarlet enclosures. 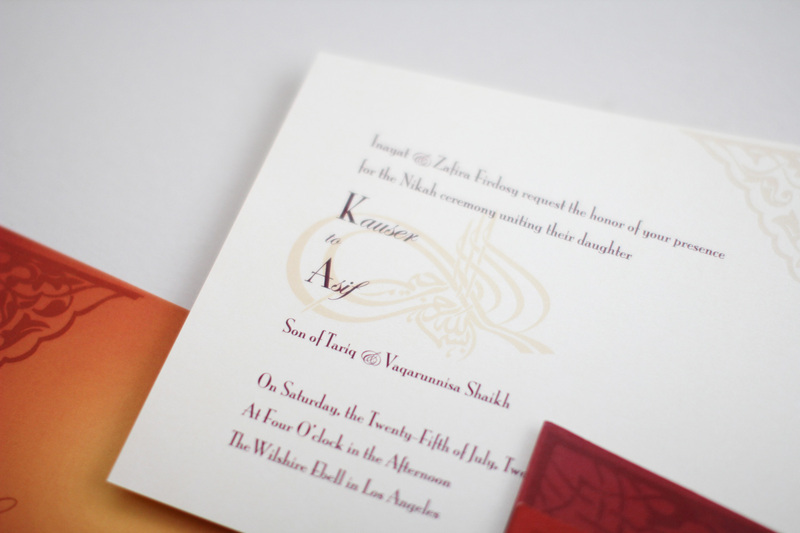 Originally created for my sister’s wedding at The Wilshire Ebell in Los Angeles, California.